Freiburg - SC Freiburg have lost almost half a dozen first-team regulars from on the back of a sensational season, but coach Christian Streich is nevertheless full of optimism that the new arrivals will settle in well to present a strong front. In an interview with bundesliga.com, Streich spoke about his impressions from pre-season so far and how his side are coming along ahead of a season which will also see the club participating in the UEFA Europa League. bundesliga.com: Hello, Mr Streich. It’s 18:30 and your training session has just ended. Isn’t this an unusual time to finish training? Christian Streich: Not in temperatures like these. We’re training twice a day and are laying the foundations for the new season. And with temperatures like these, it makes more sense to start the second session a little later, also to give us that little bit longer to recover from the first. bundesliga.com: In the warm-up tournament in Bahlingen, many of your players played in uncustomary positions. Are you preparing a few surprises for us next season? Streich: You’ll have to wait and see. Matthias Ginter can certainly play as a central defender or a defensive midfielder. And I expect our defenders to be able to play on both sides anyway. But I do expect the fans to see most of the players where they expected to play. Streich: I hope so, but it’s definitely a challenge to get all the newcomers used to our philosophy of playing and the way things work here. It’s going to be interesting to see how long it lasts before everybody has settled in. Let’s not forget that, with the exception of Max Kruse, all of the players who have left the club had been in Freiburg for many, many years. bundesliga.com: In addition, there is the language barrier to overcome when integrating the newcomers. 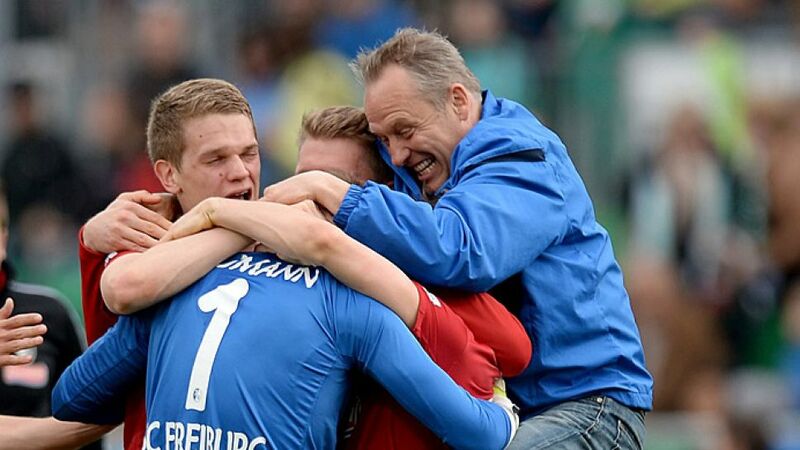 Only Mike Hanke has been playing in Germany for more than a year. Streich: That’s not such a big problem. Francis Coquelin speaks good English, Christopher Julien benefits from us having a few French-speaking players in our squad and training staff and of course I speak Swiss German with Admir Mehmedi. He’s from Zurich, after all. bundesliga.com: Remaining on the subject of integrating the newcomers, you are not a big fan of the classic team building measures are you? Streich: We don’t do team building. If we do something together, then we call that an outing. But of course we’re pleased that we are able to spend ten days together in Schruns, during which time we can work and also have a day off to spend together. What I do have to say, though, is that you really do have to be very strange not to feel happy in this group. I’m impressed with the approach the players have got to the newcomers. They are intelligent people and they know that we may be in a competitive situation, but that above all, we are colleagues. That’s the only way you can be successful as a group. bundesliga.com: The upcoming games in the Europa League must have been an extra argument to convince players like Mehmedi, Coquelin or Hanke to join, mustn’t it? Streich: I can’t judge whether we would not have had a chance of getting Mike even if we’d finished two or three places lower down the table. But certainly Mehmedi will have taken a very close look at us from Kiev and seen how we fared. It looks like he saw plenty of Bundesliga matches on TV in the Ukraine.